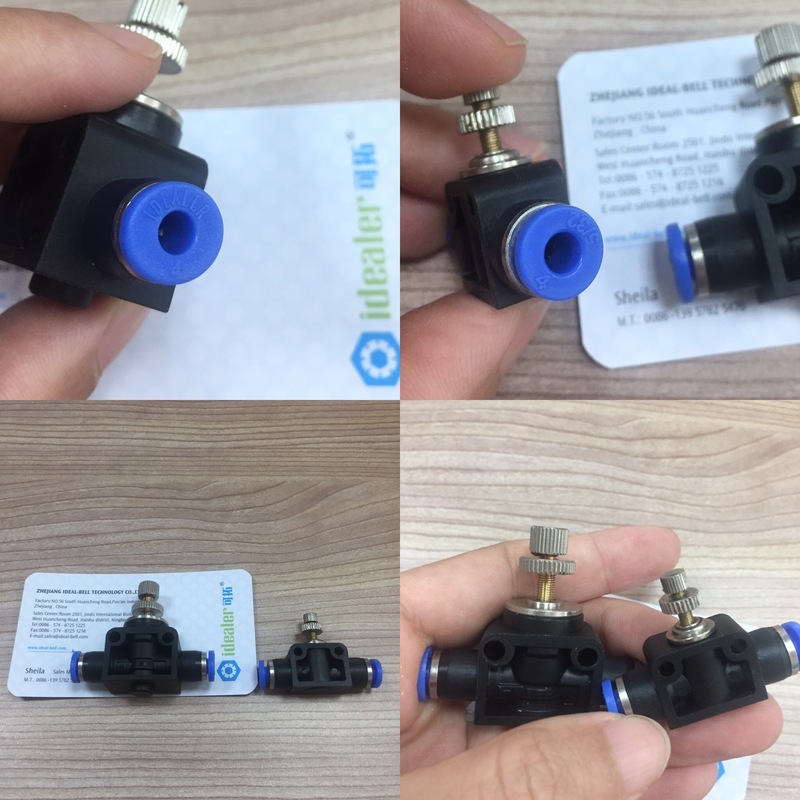 Different manufacturers, they will design different dimensions of their own pneumatic fittings, so we are. Sometimes it will not cause problems, but sometimes some factories make sizes pretty smaller or weight is very lighter, so that they can keep super cheap price. In that case, customers should pay special attentions. The bigger is our IDEALER speed controller. the smaller is other factory’s. Both are for 4mm OD air tube, but dimensions are obviously different. Which one do you think with bigger flow rate and longer lifetime? Sure our bigger one is. And more…… In order to save your time, i didn’t display more here. In a word, pls be cautious and prudent when you got a very cheap offer of pneumatic fittings. Try to do more studies or testings before making decisions, otherwise things will turn out as unexpected surprises. 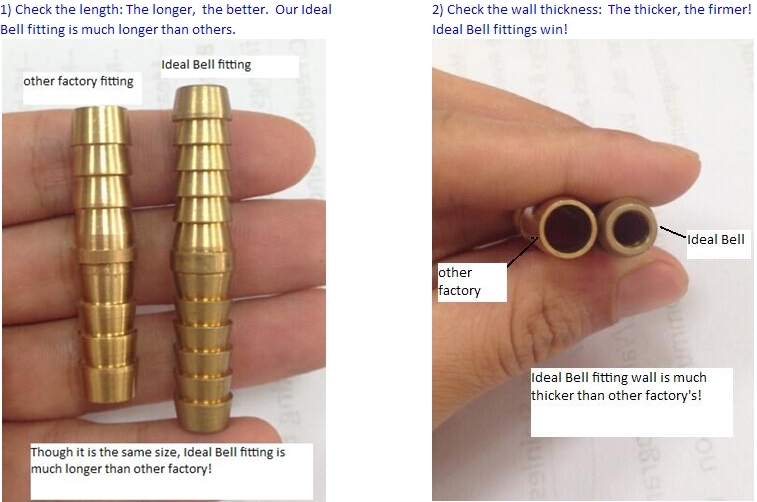 Ideal Bell is trying to control cost, but will never sacrifice quality for it. We sincerely welcome all customers to visit our factory to see our pneumatic fitting production/testing/ quality control managements! And for those who cannot make visit, we also have Official Third Party Testing Reports, Testing Video, Materials Report…. for your review! Talk to me anytime at sales@ideal-bell.com. Or leave messages here!